A couple of weeks ago I posted my reflections of “Life on the Rocks” and today I want to pay a personal tribute to the people of that area. 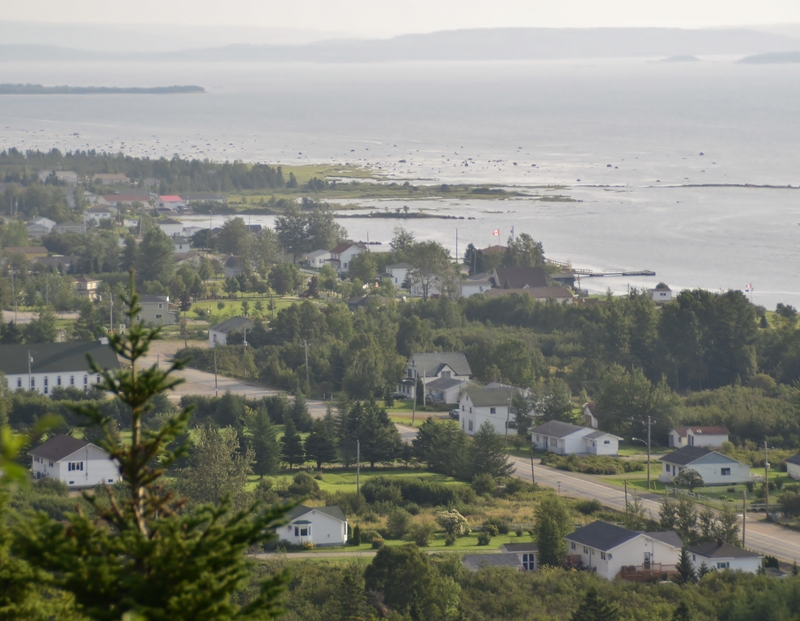 This is the area around Gander, Newfoundland. This name may sound familiar to you – maybe because there is an airforce base there, maybe because it was mentioned in the news during the aftermath of the attack on the World Trade Center. When the airspace in the U.S. was shut down the flights that had come out of Europe were diverted to Gander. I posted about how this isn’t a highly commercialized area – there aren’t many motels and hotels. We had heard that the people of Gander put people up in their own homes and the community fed these hundreds of people. We were talking to a man who lives close to Twillingate which is on an island north of Gander. We expressed our appreciation that the people of Gander took in the stranded travelers and he stated that it wasn’t just Gander because there wasn’t enough resources there to meet the need. People from all over the area took people in. They opened their homes in a time of need. When we are driving down the road past lots of houses, I often wonder what is happening in them. What kind of people live there and what their life is like? We had the opportunity to talk to some of the people who lived and worked in this area and they were genuine, warm, friendly, and helpful. If you ever get stranded or lost, be sure it is in Newfoundland.